West Coast lyricist, Crooked I, is back with a new music video for, “Sumthin From Nothin,” which is featured on the Shady rapper’s recent LP, Apex Predator. The California influenced visual showcases the Long Beach native alongside some classic whips as he performs to the camera with his signature cigar. Backed by his C.O.B. 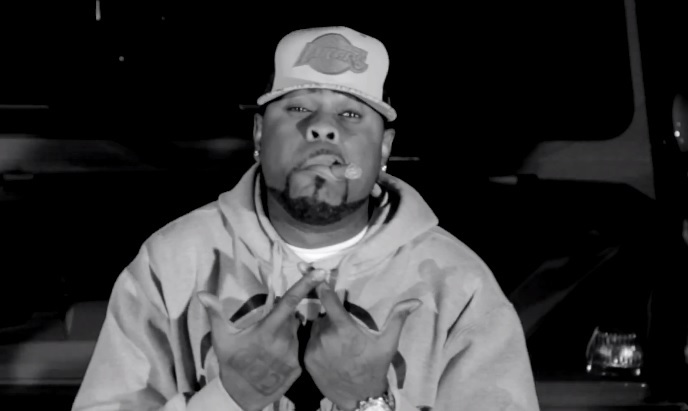 family, Crooked I spits some witty wordplay over a simplistic instrumental composed of only his beatboxing skills. This entry was posted in Music, Video and tagged apex predator, crooked i, hip hop music video, long beachm sumthin from nothin, rap. Bookmark the permalink.